The liberal leader in the European Parliament Guy Verhofstadt had to backtrack on a planned alliance with Italian politician Beppe Grillo on Monday (9 January) after his own troops rebelled against the move. 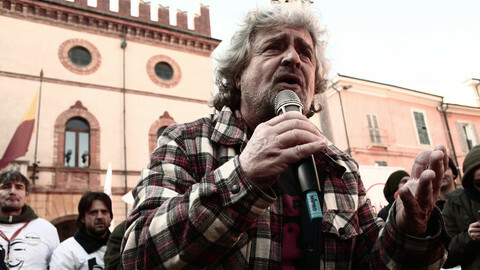 Grillo, the anti-euro and anti-migrant leader of the Five Star Movement (M5S), Italy's most popular party, had announced on Sunday that he was leaving the eurosceptic Europe of Freedom and Direct Democracy (EFDD) group in the parliament, led by Ukip's Nigel Farage, to join the liberal Alde group. 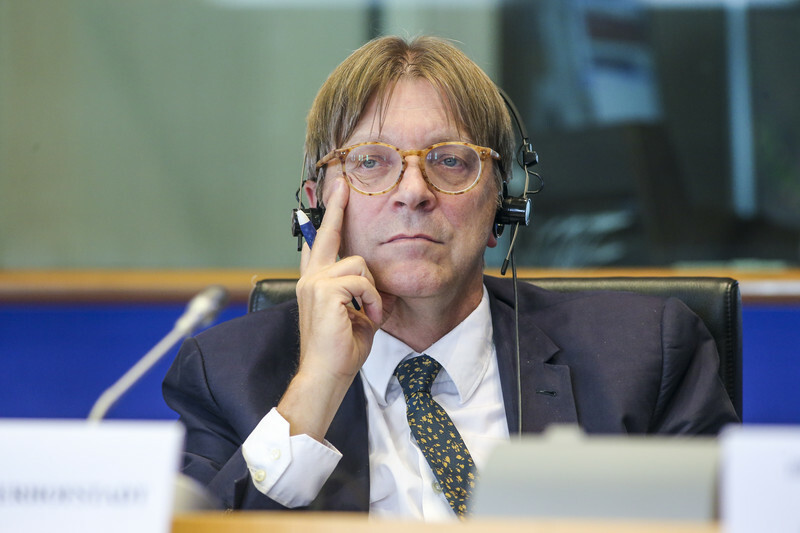 Verhofstadt sought to add the 17 M5S MEPs to the 68-strong Alde group, becoming the third largest group in the parliament, and boosting his bid for the parliament's presidency 10 days before the vote. Some 79 percent of M5S supporters endorsed the move in an internet vote on Sunday and Monday. 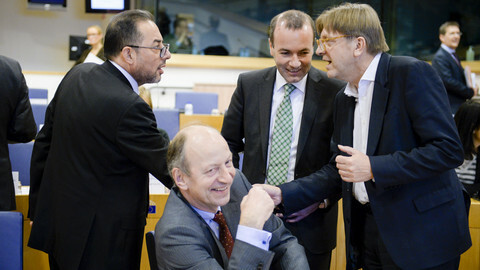 But Verhofstadt had to give up his plan only 20 minutes into a meeting with national delegations of his group on Monday evening. “I have come to the conclusion that there are not enough guarantees to push forward a common agenda to reform Europe," he said in a statement. "There remain fundamental differences on key European issues, like the euro" the former Belgian prime minister added. He said that "on issues of shared interest, such as the environment, transparency and direct democracy, the Alde Group and the Five Star Movement will continue to work closely together," however. 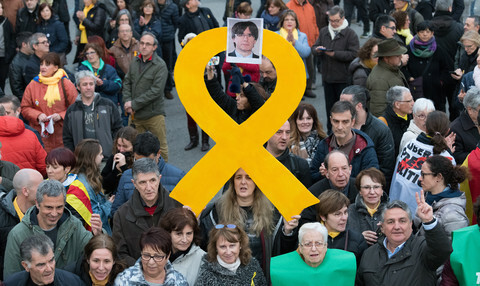 The MEPs' blockade is a setback for Verhofstadt who hoped to clinch the parliament's presidency as a compromise candidate against the conservative and socialist candidates. A vote on the unexpected Alde-M5S marriage was supposed to take place among the liberal group on Tuesday (10 January), but it quickly became clear on Monday that liberal MEPs considered the populist Italian party as going directly against their core values. 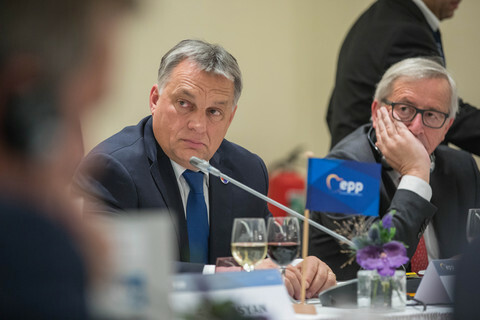 Some liberal MEPs were struck by the notion that one of Europe's populist, anti-euro parties should become the biggest gathering within the pro-EU, federalist liberal group. 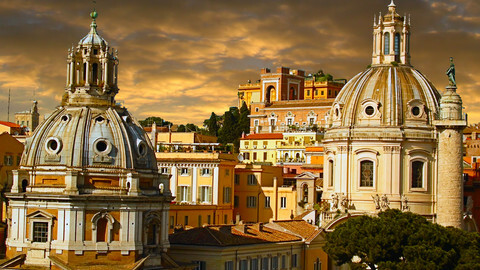 Several Alde member parties, in Finland, Denmark, Sweden and Estonia said they would not support M5S joining the group. Former Estonian prime minister Taavi Roivas, in particular, came out to criticise the proposed deal and tweeted that "staying true to your values is more important than size." Kaja Kallas, an Estonian MEP, told this website that the political differences between M5S and the liberals were too big. "The biggest issue is the difference in policies, look at their antiglobalist, anti-Europe, nationalistic policies and what we stand for. They are anti-euro and supported Brexit, both of which are weakening the EU. We think all member state benefit from the union," Kallas said. She also voiced concern that with its 17 MEPs, M5S would become the biggest party within the Alde group and could set its tone, which would mean a fundamental change for the group. Another faultline was that while liberal MEPs have voiced concern over Russian meddling in European affairs, Grillo's party supports lifting EU sanctions against Russia. Most liberal MEPs were kept in the dark during negotiations between Grillo and Verhofstadt, adding to the discontent about a possible merger. According to a leaked copy, the agreement between Verhofstadt and Grillo gave a role in the group leadership for the M5S in exchange for their support for the Belgian politician's bid for president, shedding light on previous negotiations between the two party leaders. On Sunday, Grillo justified his proposed switch to the liberals arguing that as Ukip had achieved its goal to lead the UK out of the EU, the EP group had lost its political objective. However, in a letter titled ‘Dear Nigel' posted on his blog on Monday, he made it clear that M5S wanted to use the liberal group to achieve its shared goals with Ukip. 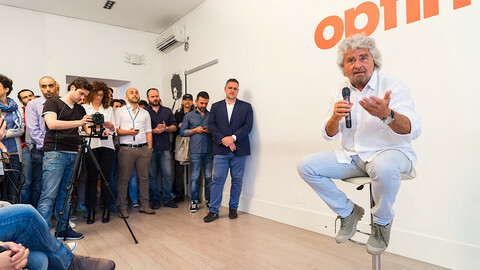 "The 5 Star Movement's battle has yet to come, and to win it we evaluated to go to another political group in the European Parliament because, in this way, we think we can deal with more concentration both, you and us, the next challenges,” he wrote in English. "We can change this world,” he added. 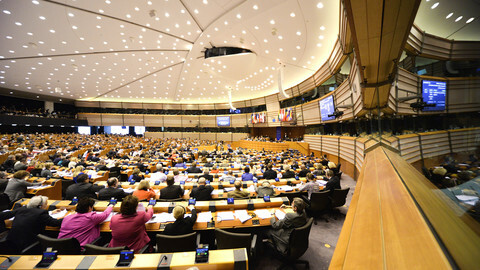 What will happen to the M5S MEPs is unclear. 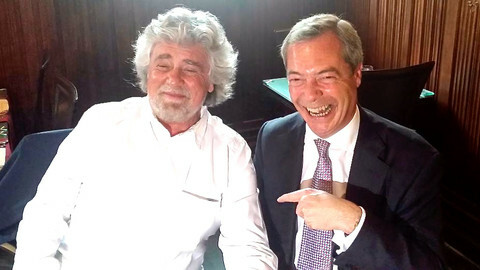 Before Alde turned down Grillo's offer to join, Farage had said in a statement that "Beppe Grillo will now join the Euro-fanatic establishment”. Italy's Five Star movement is leaving Ukip's eurosceptic EU parliament group and aiming to join the pro-EU liberal Alde faction. First round of Italian local elections has left Matteo Renzi humbled and his biggest rivals - the anti-establishment Five Star party - triumphant. Members of Italy's Five Star Movement Thursday voted to join forces in the EP with British eurosceptic leader Nigel Farage, in a controversial referendum in which members were offered limited choices. High-ranking deputies in the Green group want to reach out to like-minded people in Italy's anti-establishment party, the Five Star Movement, to isolate its firebrand leader. Manfred Weber, leader of the centre-right EPP group, says socialist and liberal leaders have to stick to their pledges and let EPP's Antonio Tajani become parliament president. The Five Star Movement is still leading in polls after it failed to switch from a eurosceptic to a pro-EU group in the European Parliament.